Now it's gotten ridiculous. Pneumonia! Off to surgery. More as I know it. Kippot pictures just didn't work out. I'm bummed because I've already delivered them to the Synagogue. 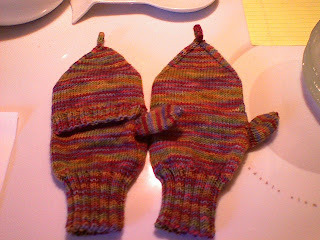 I do, however, have Broadstreet mitten pics for you. 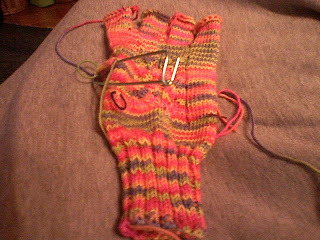 These are in "Metamorphic" Socks That Rock.